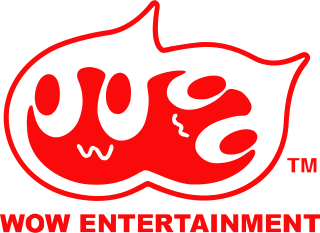 WOW Entertainment (ワウ エンターテイメント) was a development company owned by Sega Corporation during 2000 to 2003. WOW Entertainment is a continuation of Sega Software R&D Dept. 1Media:DCM_JP_20000825_2000-28.pdf, though as with other R&D divisions of Sega restructured around this time, it was classed as a wholly owned subsidiary of Sega as opposed to simply being a R&D division. Not much has changed in terms of approach for the studio when it became WOW Entertainment. The studio provided a variety of different games to the arcades, as well as the Dreamcast. A very different venture for WOW was the attempt to rival Gran Turismo, with the Sega GT for Dreamcast and Sega GT 2002 for Xbox. In October 2003, WOW Entertainment merged with Overworks to become Sega WOW (briefly "WOW Works")Media:IR EN 2003-07-30.pdf. Main article: WOW Entertainment/Magazine articles.